PRICE REDUCED - This nature-friendly mountain retreat combines modern-day amenities with its surrounding desert beauty - all on nearly half-an-acre lot - making it one of Fountain Hills' best-kept-secrets. And did I mention it has NO STEPS! 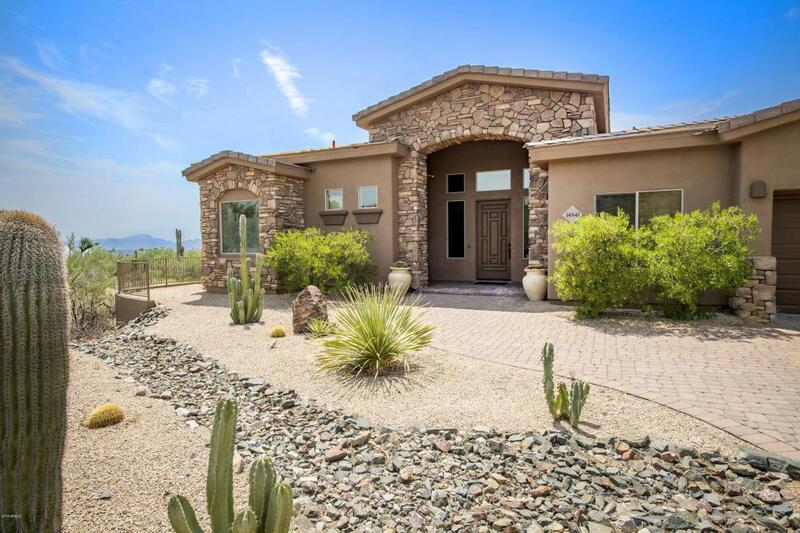 Located just a short stroll from the infamous Dixie Mine Trail-head, and at the foot of the McDowell Mountains, this well-built-and-well-kept home provides captivating panoramic views of the Four Peaks, Superstitions, and mighty McDowell Mountain ranges. Better still, it also offers views of the ''Fountain'' itself! 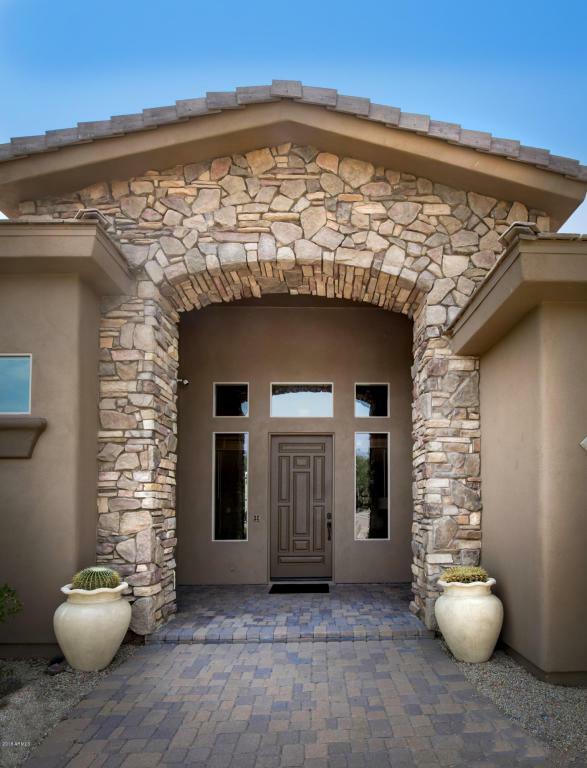 Once inside, you'll be awed by its spacious & airy split floor plan complete w/separate dining & living areas, vaulted ceilings, and Travertine flooring throughout. As you make your way through the halls, don't fail to notice thosepreviously-mentioned modern-day amenities such as the expansive gourmet kitchen complete w/alder-wood cabinetry, granite counter-tops, bar seating, kitchen island, and stainless steel appliances. If that weren't enough, there's also the large picturesque windows just off the eating area(s) that allows one to "chew with a view", literally pulling in those gorgeous views right to your table-top. 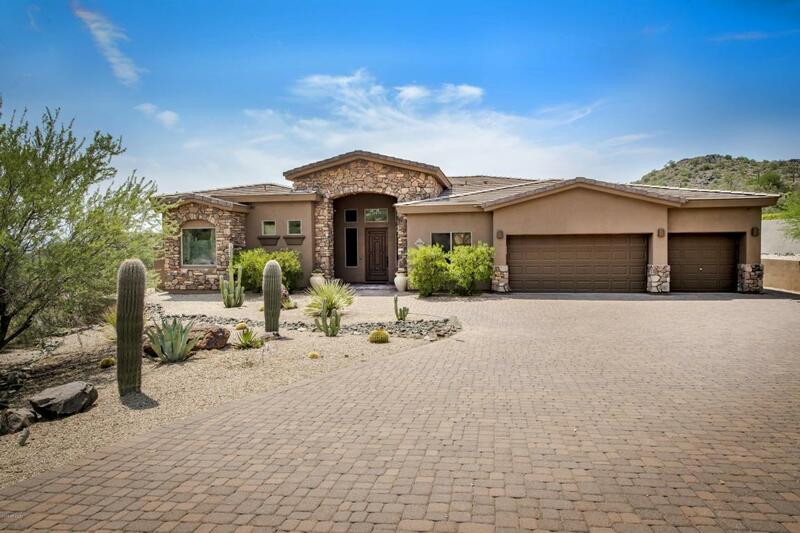 Altogether, this lovely home offers rest & relaxation along with the ability to entertain guests, go for a quick desert hike, while maintaining its unique character, privacy, and charm. After all, the word "Cholula" does in fact mean "Place of Retreat." So, don't miss out on your chance to experience all this home has to offer. Cross Street Golden Eagle Blvd. & Sunridge Dr.